What a year Ariana Grande has had, and it’s only February. Unless you’ve been living under a rock with no Wi-Fi, you know that Ari’s been working hard since, well, it’s kind of hard to remember the last time she took a break from work, and the limelight that comes with it. With the press whirlwind surrounding her, it may have been easy to miss Ari’s latest fragrance release, Cloud. But believe me, it is worth revisiting. 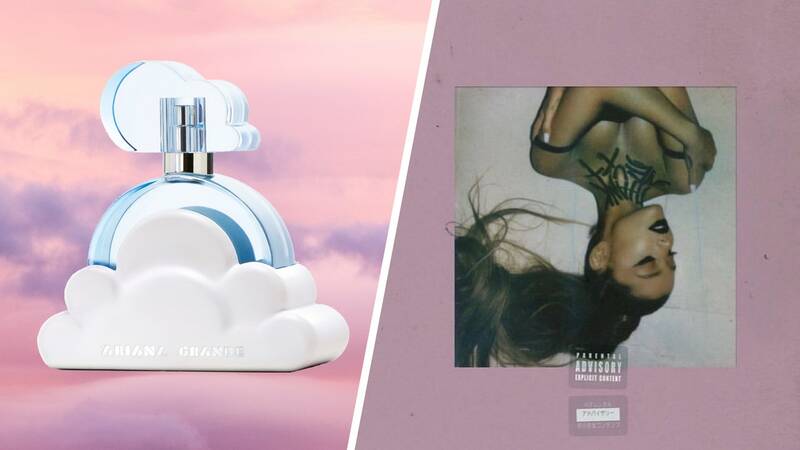 Cloud is Ari’s sixth fragrance (if you count flankers, which we do). We knew it was coming; a few months back, Ari gave us a preview of the fragrance by posting lab samples on her Instagram story. First,the rollerball was made available on her website, then Cloud debuted in full, bottle and all. If there is one thing the past few months have taught us about Ariana Grande, it’s that she is now doing things on her own terms. After becoming one of the most-talked-about celebrities, not just for her music and ponytail, but her relationships and breakups, “Thank U, Next” was part of Ari reclaiming her narrative, taking control of her story, and talking about her past through the lens of light and growth. It’s no surprise, then, that Cloud is the outlier among all her fragrances. Cloud is a fitting name for the scent, as it’s a recurring image in her life and work. Before Sweetener‘s release, she told Vogue that her sound is that of “a ’90s baby catapulted into this cloud of polished pop dust, and the six million different personalities singing a bunch of harmonies together.” Because of this, and the cloud emoji that often accents her Instagram stories and tweets, plus a cloud tattoo on her knuckle, it makes sense that Ari extended it to something tangible her fans can enjoy with her. 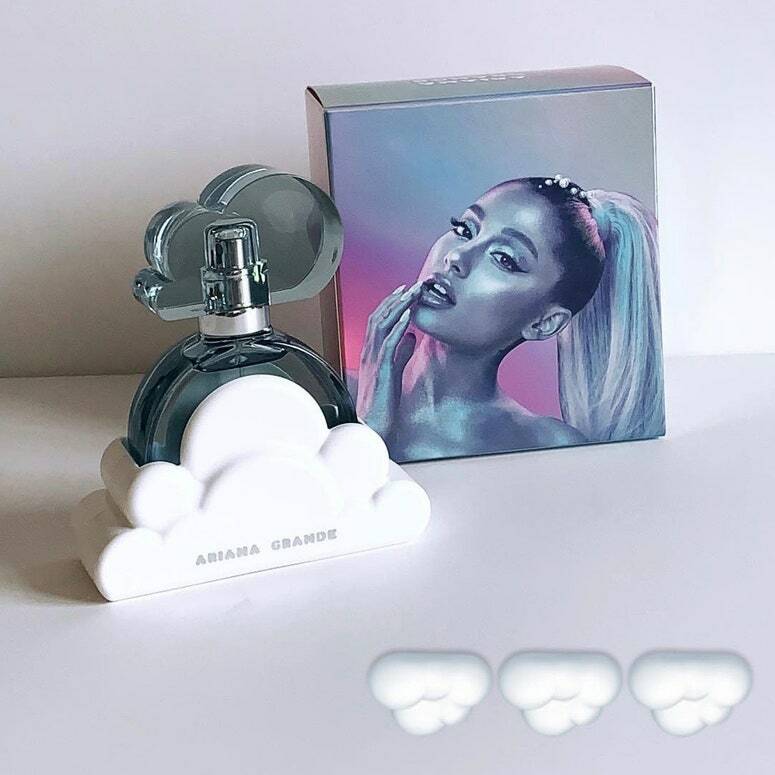 As much as Sweetener felt like a departure from her previous sounds, and “Thank U, Next” even more so, Cloud is also a departure from Ari’s original and often reinterpreted bottle shape: the diamond-cut grenade with pom-pom accent. Cloud is shaped like, well, a cloud, with a rainbow, or sun, (or moon?) peeking out behind it, capped by another cloud. It’s literal, fun, and cute.